Is Energy-Efficient HVAC Equipment Worth the Cost? We keep hearing about federal tax credits for energy-efficient HVAC equipment. Is the financial payback worth the up-front investment? Who can help me make an informed decision? There’s lots of promotion surrounding incentives for energy-efficient HVAC equipment such as furnaces and heat pumps. The tax credit created under the American Recovery and Reinvestment Act expires December 31, 2010. Many contractors are pushing the program as a means to spur replacement equipment sales before a year-end rush. But selecting equipment that qualifies for the credit also means selecting a product with a higher price point. Why? The federal program does not provide a credit for all energy-efficient HVAC equipment. Instead, it has selected specific SEER/AFUE. A homeowner with an old unit at the 10 SEER level would see a comfort and financial benefit from upgrading to a 12 SEER. Often, these are in the middle of a price range. They do not, however, qualify for a federal tax credit. That means selecting a product with a higher, upfront price point. For HVAC equipment, the tax credit is set at 30% of cost up to $1,500.00. The equipment must be installed in an existing home and in your principal residence. New construction and rentals do not qualify. 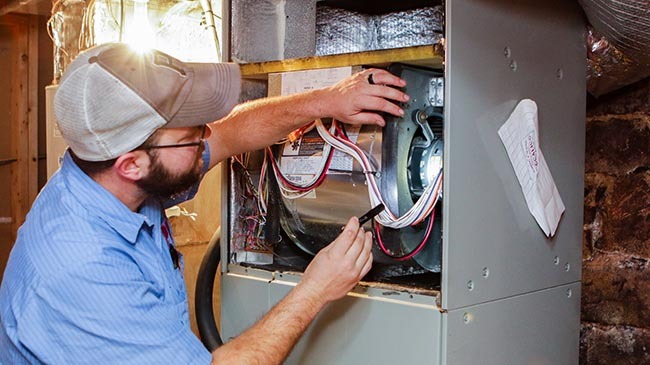 When determining if your HVAC replacement equipment should fall within the energy-efficiency guidelines in order to benefit from the tax credit, you can also consider your monthly energy savings. Some manufacturers provide energy-savings calculators on their web sites, which allows you to input variables related to your equipment and regular energy usage and then calculate the projected savings of certain equipment upgrades. Some contractors can help you identify savings as well. Also consider your long-term goals such as how long you plan to live in the home. For the second question: Where can I turn for accurate information about this type of purchase? There are plenty of unbiased resources online that can help. Start with www.energystar.gov for FAQs and credit information. As mentioned before, product manufacturers have valuable information, but remember that this may be skewed toward their own product line. You should also speak to your accountant prior to making a purchase. While some contractors and manufacturers instruct you on how to apply for the tax credit, it’s always a good idea to seek professional accounting advice before making a purchase that will impact your tax filing. At Cocalico, we council homeowners to take their time when selecting an HVAC contractor. Interview up to three contractors. Ask your family and friends for referrals. When buying replacement HVAC equipment, it’s important to purchase a unit that is right-sized for your home. A unit that is too large or too small will not provide the comfort you need. That means your decision should be based on more than just the tax credit and your projected monthly savings. Now is a good time to upgrade your HVAC unit. The current program may not be extended beyond 2010. But it’s important to select a unit that meets your budget today as much as one that lowers your cost tomorrow.